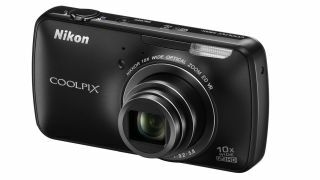 After a few days of leaked specs and rumours, Nikon has confirmed it will be bringing an Android powered compact camera to market. The S800c features the Gingerbread operating system and houses inbuilt Wi-Fi to connect to the Google Play market. Any app can be downloaded and used with the camera, including Nikon's own MyPictureTown app and other photography based apps. A 16-million pixel CMOS sensor is joined by a 10x optical zoom lens and a 3.5 inch OLED touchscreen. Sensitivity settings of up to ISO 3200 are also available, along with Nikon's own automatic vibration reduction technology to counter the effects of camera shake.